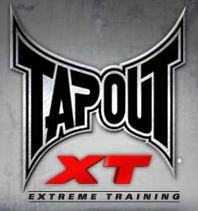 There are many MMA wrestling mats and by clicking on the links you can find out more information about why that mat is so good. Two mats that are easy to work with are the rolled mats and folding mats. But puzzle mats also have their place. Mats are there for protection and comfort. You do not want to grapple on the floor or carpet. Plus it makes take downs a bit easier. 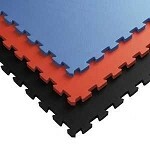 Mats help reduce injury for throws and takedowns.They help absorb the impact. Though not soft, they do help! Wrestling mats help reduce friction with the ground. This will keep you more comfortable while grappling. 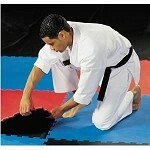 Be sure and check the quality of the mats. You do not want to have to lay down a mat twice!